Best ICT Solution for Leadership & Management. 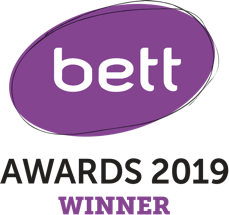 Bett – Company of the Year Winners! Because Class Charts is designed by an ex-teacher, we understand the issues schools face and we make a big impact in schools by improving behaviour, attendance and teaching & learning. 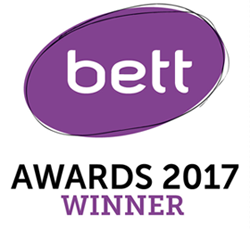 Schools that use Class Charts equip themselves with a BETT Award winning solution that is effective & easy to use for everyone involved. We streamline every aspect of classroom management, reducing teacher workload and empowering SLT with real time data for informed decision making. The team behind Class Charts were teachers and so understand the pressure on school budgets. We offer schools an all in one solution with FREE budget saving homework and reward store modules. Attendance has a significant impact on pupil attainment. According to DFE data, Schools that have introduced Class Charts have on average saved 500 pupil learning days. Better attendance means better results. 100% of schools who bought Class Charts after a ‘Requires Improvement for Personal Development, Behaviour and Welfare’ OFSTED report, improved to ‘Good’ by their following inspection. Why do Senior Leadership Teams love what we do? We save time for SLT and Middle Managers, lots of it! And we empower SLT with real time data so that they can pinpoint where behaviour issues are occurring and deal with them in an effective manner. We take a very proactive approach, and from a behaviour perspective we believe that prevention really is better than cure. Our powerful data analysis tools assist with timetabling, early identification of students at risk and instant reports on any criteria you can think of. Our ‘intelligence events’ are also a big winner here and they can be configured to alert specific members of staff when the important stuff happens. Amazing! In our most recent survey, 96% of Senior Leaders say Class Charts saves them time with average of 58 hours per year saved on behaviour analysis, a significant reduction in workload. What could you achieve with an extra 58 hours of time available? We help SLT improve their school by providing the right information at the right time. We empower SLT with real time information on where behaviour issues are occuring which is how Acklam Grange School reduced exclusions by a whopping 98%. Ever spent hours preparing for an OFTSED inspection? Or worse still had that dreaded phone call for a no-notice inspection? Relax! Choose Class Charts and you will be prepared for OFSTED from a behaviour standpoint, every single day. How do teachers benefit from Class Charts? We know being a teacher can be tough, we know this because we have done the job. We put our experience in the classroom at the centre of everything we do and make classroom management a smooth process. We make a difference in classrooms. Since using ClassCharts at their school, 80% of staff believe it has had an impact on reducing low level disruption with 55% stating it has had a major impact. Less disruption in the classroom means better lessons. Differentiation is a big challenge for any teacher and is particularly difficult for new teachers & supply staff. Our time saving seating plans display key pupil data so that teachers can instantly understand the needs and abilities of their pupils. Creating a data rich seating plan by hand is a time consuming task which we take away from teacher workload. In the classroom itself we free up teacher time spent recording behaviour incidents. 89% of our teachers say they record behaviour incidents in less than 30 seconds. Class Charts has iOS & Android apps for parents and provides a fantastic mechanism for parental engagement. You can easily keep parents informed of attendance, behaviour and homework or generic issues. Exactly what parents get to see is up to you because Class Charts can be customised to suit the needs of your school. Research shows parental engagement has a bigger influence on children’s attainment than other social, economic and family background factors. Class Charts keeps parents informed of behaviour, detentions, attendance and homework in real time. Every school is different which is why we built in options that will allow your school to configure exactly what parents see in the Class Charts apps. Our team will help you decide what settings are best for your school in terms of what is displayed to parents. Improving the reputation of a school in the community is a long hard process and one of the key factors parents worry about is behaviour. Class Charts is an ideal tool to communicate postive achievement with parents. What about the pupils themselves? iOS & Android apps are also available for pupils and help them monitor & reflect on their own behaviour, homework and attendance. The free Rewards Store module in Class Charts allows pupils to cash in their positive points for whatever your school decides to include in the Rewards Store. Our free Rewards Store module is a great moitivator for pupils and it is really easy for them to spend their hard earned postive points on whatever you decide to include in the Rewards Store. With Class Charts there is no need for pupils to write down homework in their planners or take home worksheets all scrumpled in their bags. Pupils can see what homework they need to complete and can check them off once done. The latest research shows that to truely motivate pupils there should be a praise to criticism ratio of 4:1. Because Class Charts is so easy for teacher to use we see a 400%+ increase in postive points awarded. How do we work with MATs & Local Authorities? We are proud to be working with a number of Multi Academy Trusts and Local Authorities who are using Class Charts to improve their schools. Because we are an all in one classroom management solution they are benefiting by reducing their costs, getting consistency across their schools and some are using our MAT/LA Dashboards to gain an overview of school needs and target resources effectively. We are an all in one solution for classroom management so schools no longer need to pay for separate pieces of software for homework. rewards, behaviour etc. We save our schools thousands of pounds every year. Having a consistent approach across your MAT/Local Authority means helps a great deal in terms of data analysis and change management. We can help all of your schools align themselves to a common best practice approach for behaviour management. Our optional MAT/LA dashboard provides an insight into behaviour and trends in schools and allows for the effective targeting of resources from a central viewpoint. Our fantastic level of support is one of the secrets of our success, rather than pump money into flashy marketing our approach is to do an outstanding job with our schools who then talk to others about how good we are at what we do.